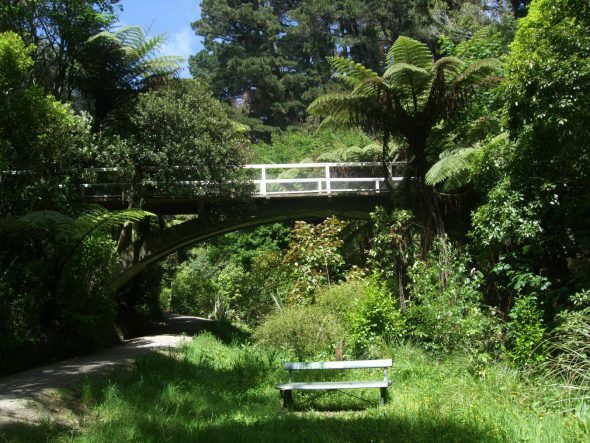 Wellington’s Central Park – less familiar to many than the famous park of the same name in New York City – is one of the Wellington’s oldest public green spaces. History curator Kirstie Ross rambles through some of the highs and lows of its 114 year history. Central Park’s formal genesis, in 1913, is connected to persistent social, political, and urban concerns: the impact of overcrowded cities and poor housing. In the early 1900s, the creation of and access to nature and to green spaces was one of the solutions to these concerns. Reformers lobbied for parks and planted trees to mitigate against ‘modern’ urban ills. 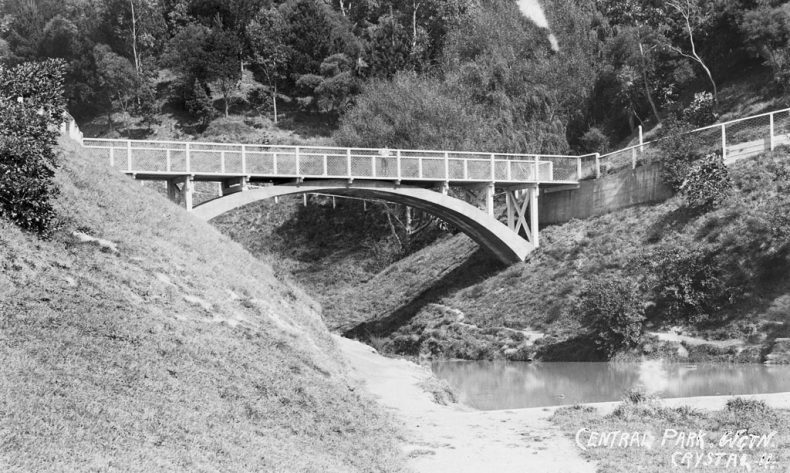 Back in 1903, the population of New Zealand’s capital city was almost 50,000. New suburbs and associated infrastructure developed to house and service this growth. 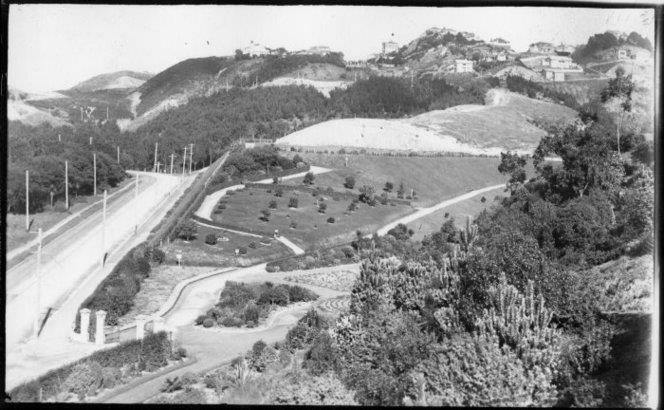 The photograph below shows the bare hills near the top of Brooklyn Road (near the entrance of Central Park at Ohiro Road, today). Local politicians also feared the development of inner city slums. 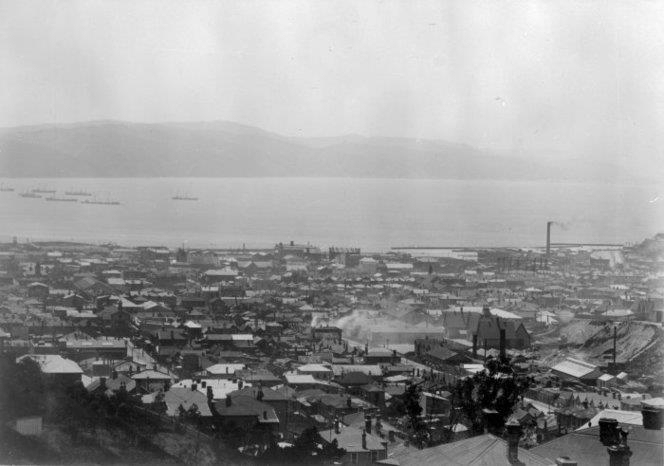 A Housing Commission, which submitted a report to the Wellington City Council in 1903, agreed. It declared that slum living would ‘endanger the health and morality of residents’. 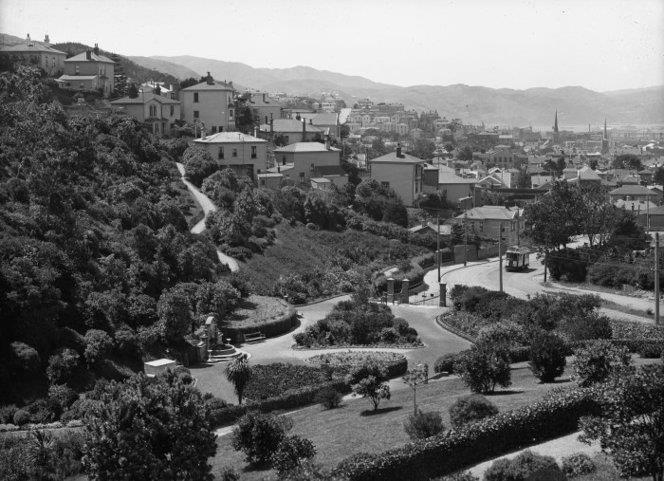 This belief underpinned Wellington’s ‘Central Park’, located on the slopes between the CBD on the Te Aro flat (below) and the hillside suburb of Brooklyn. Using money raised at a fundraising carnival, Central Park was ready for the public in October 1913. One journalist quickly claimed that the park was ‘destined shortly to become an important and valuable pleasure resort’. However, since its formation, Central Park has been valued for many different reasons, and also underappreciated and subject to neglect. Initially the site doubled as a nursery where seedlings for planting on the Green Belt and around the city were propagated. By 1914, the 13 hectares of Central Park contained about 30,000 cuttings of exotic and native trees. So many baby trees in one place was too tempting for some. In August 1915, green fingered ‘shrub thieves’ looted the park, in a ‘systematic wholesale way’. In 1923, ratepayers lobbied the city council for park conveniences. The popularity of picnicking made this an urgent matter: the lack of public toilets tended to create an ‘unsavoury atmosphere’ as one petitioner politely put it. Besides providing a leafy route for pedestrian commuters walking into town, Central Park has provided local children with an area to explore and play in and where adults could meander through gardens or contemplate untamed nature. Concerts were another draw card, with live music performed in a band rotunda between 1936 and 1946. A paddling pool (above) was installed for children along with a state-of-the-art playground, in 1927. The playground was constructed in the mid-ground adjacent to the white cutting that you can see in the photograph below. But some of the ways that Central Park has been used over the years were not anticipated by its civic-minded founders. In 1931, for example, it was officially designated a rubbish tip and during WWII, American soldiers were housed in a camp on that same flat area, next to Brooklyn Road. This area subsequently became the site of tennis courts and a tennis centre. Press reports reveal that during the 1920s and 1930s, the park also functioned as a place where lovers met and prostitutes worked. This included the likes of Phyllis Davies (alias Ferraro, alias de Fleury, alias Phyllis Elven, alias Thelma Davies), who earned a three-month jail sentence after she propositioned a policeman in the park in January 1923. Mitigating casual vandalism, while keeping the park environs safe and tidy have been a constant issue. 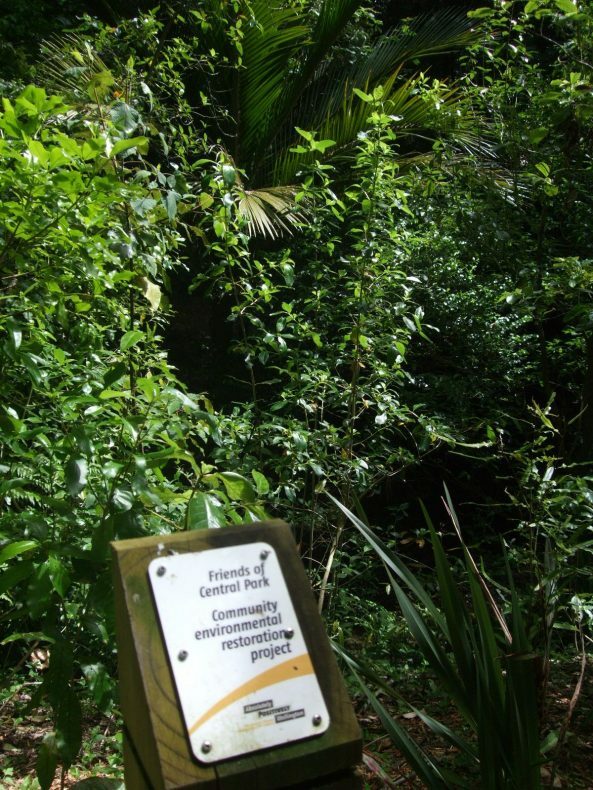 From 2005, voluntary community maintenance, habitat restoration, and tree planting undertaken by the Friends of Central Park has complemented the council’s activities. In 2008, Wellington City Council completed a significant upgrade of the park. Most recently, Central Park has become the site of a very popular biennial Upstream Art Trail, the brainchild of Barbara Hardy. In their creative responses to the park, artists, designers, and local school children (see below) have added further layers of meaning to the park’s long and rich history. Our family have experienced the delights of Central Park since coming to Wgtn 1985 – one of the first community events we went to was a twilight festival in the Park. re the Tram: I too was interested in the date. Was it electric? Supplied from the substation halfway up Brooklyn Road? I was involved in investigating some large transformers there, which were installed there before, during and after WWII eventually completing c. 1946. Thanks for your response to my blog. I’m a relative newcomer to the neighbourhood (I moved to Brooklyn in 2008) so was interested to learn about past community activities in Central Park, like the festival you attended in 1985. Did you get a chance to go to the Art Trail in the park last weekend? The tram is definitely electric – you see this fairly clearly if you zoom in on the image. With no electrical engineering knowledge to speak of, I am unqualified to comment on whether the power source was the transformer that you reviewed (opposite what is now the tennis centre). Perhaps someone can enlighten us? I have really enjoyed seeing the old photos of Central Park. I walked through that park from the time I was 5, it was the way we went to Sunday tea at my grandmother’s in Abel Smith Street, and I walked to work the same way during the 1940s. The “hospital” was an Old People’s home about half way up Ohiro Road and I recall entertaining the old folk as a youth club member. The track we used was from the top of Brooklyn Road, through pine trees, and it ran almost parallel with Ohiro Road for much of the way. I don’t recall the paddling pool, but the bridge brings back memories, as well as the old fountain and the playground. 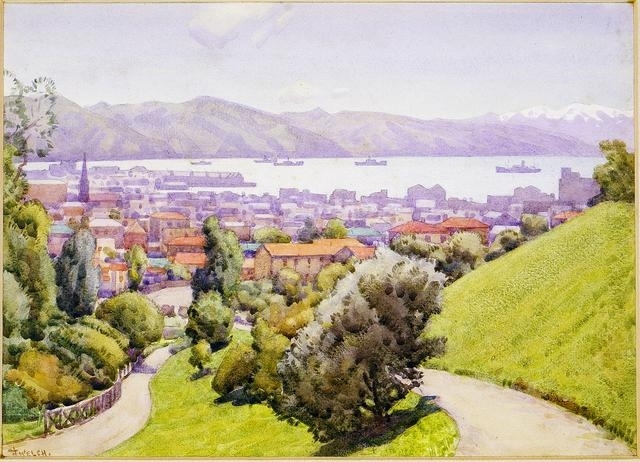 I remember being taken to the top of Brooklyn Road to see the troopships in the harbour in WW2 – some big ships that we had never seen before including I think the “Dominion Monarch” Thanks for bringing back 80 year old memories! Thank you for sharing your knowledge and experiences of Central Park. After your Sunday visits to your grandmother’s did you walk back up through the park or did you catch a tram? I’m glad you’ve enjoyed seeing the historic images – I find it remarkable to consider the development of the park and the vegetation over the last 100+ years. These days you definitely can’t get a clear view of the harbour from the top of Brooklyn Road because of the height of the trees. I grew up in Te Aro in the late eighties on Ohiro road. I have fond memories of central park. Mum and dad used to take us there as kids all the time and I remember quite clearly the gum/eucalyptus trees covered in fat green caterpillars in the summertime. Have so many photos of my family when we were kids playing on the seesaw and swings there. Haven’t been to the park since I was a kid. Am 34 now and live in plimmerton. Thanks for contributing your evocative memory of the park. I haven’t seen any caterpillars this ‘summer’ so far, but when it’s dry you get that wonderful scent of the gum trees in certain places in the park. I’m pleased to hear that you have kept your family photos – I haven’t come across many taken in the park during the 1980s. I’d love to see them sometime (if you were happy to) as I haven’t across many showing the park during the 1980s and 90s. Kirstie, As a born Wellingtonian but long-term resident of Devonport, Auckland, I responded to the photos of Central Park. 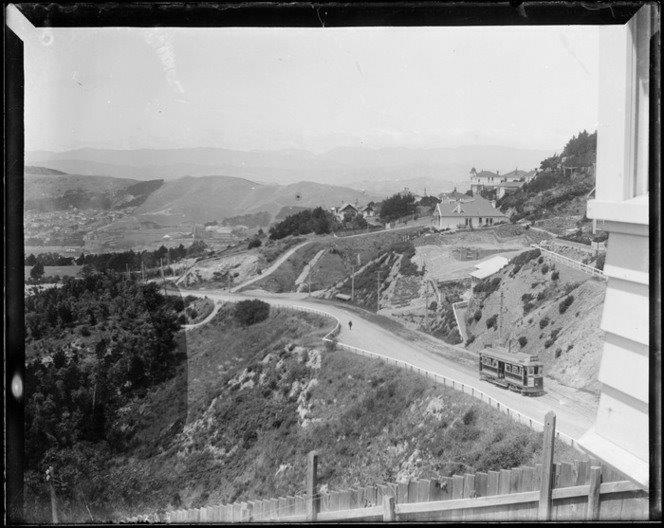 I particularly liked the tram climbing the hill road – it reminded me of my tram journeys to and from Karori. One area of missing information was the year of the photos – not possible to add this? Thanks for your response. Glad to hear that you like the photos – I’ve enjoyed tracking them down. As for the date of one of the tram near the top of Brooklyn Road – I’d hazard a guess of the 1910s, but others may be able to supply a more accurate date based on the number of houses etc. You can see what later became Washington Avenue, in the middle of the photo – except here it’s a dirt track that comes straight down the hill rather than the broad curve that now sweeps down past the Malaysian Embassy. More research needed! Very good story here. Did you get a copy of the extensive history of the Park I did last year? Lynne should have told all the Friends I did this, a number of them have copies. Haven’t seen some of the old pictures you’ve included. 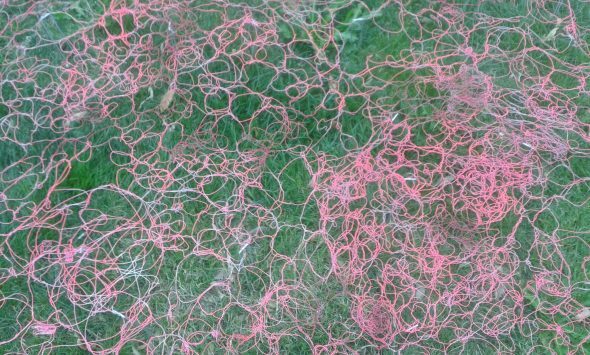 The piece I’ve just posted is drawn from research that I did for a paper I gave at a New Zealand Geography conference several years ago now, that I’ve been meaning to share in a blog for ages. But you know how other things take over! Gosh the number of times I took a short cut down to Wellington through Central park, lived in Brooklyn back then and worked at James Smith in Cuba St.. is the fountain still there, wasn’t it given by the Evening Post from memory? Loved the children’s playground, used to take my daughter there.. enjoyed the walkways around the park, remember the hospital on the start of Ohiro Road??? I can remember some one lost all their aviary to the Park!! Am now in Clareville… thanks for the memory! 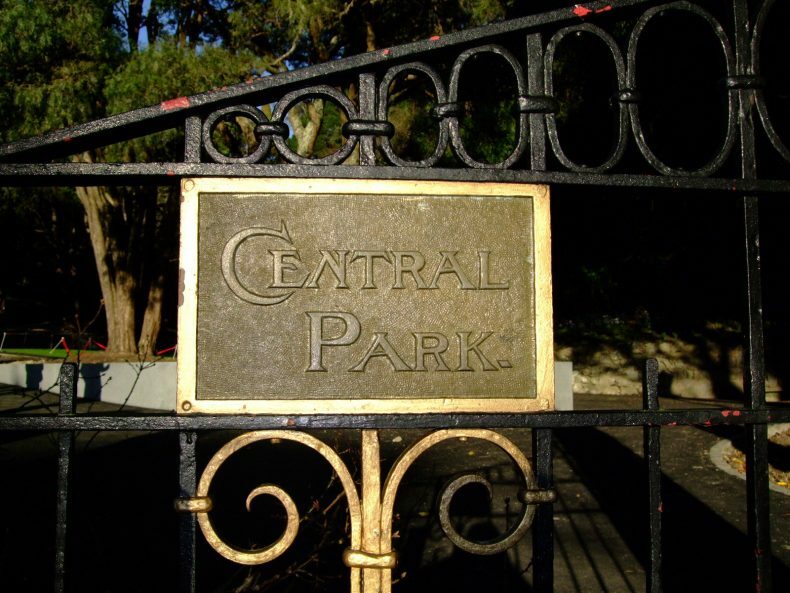 Thanks for your memories of Central Park. The fountain is still there – but not the original, rather elaborate one. I love walking downhill through the park on my way to work too – getting a bit of exercise and observing the seasonal changes.